“One place where Pine Ridge reservation sports teams used to get harassed regularly was in the high school gymnasium in Lead, South Dakota. Lead is a town of about 3,200 northwest of the reservation, in the Black Hills. It is laid out among the mines that are its main industry, and low, wooded mountains hedge it round. The brick high school building is set into a hillside. The school’s only gym in those days was small, with tiers of gray-painted concrete on which the spectator benches descended from just below the steel-beamed roof to the very edge of the basketball court–an arrangement that greatly magnified the interior noise. In the fall of 1988, the Pine Ridge Lady Thorpes went to Lead to play a basketball game. SuAnne was a full member of the team by then. She was a freshman, fourteen years old. Getting ready in the locker room, the Pine Ridge girls could hear the din from the fans. They were yelling fake-Indian war cries, a “woo-woo-woo” sound. The usual plan for the pre-game warm-up was for the visiting team to run onto the court in a line, take a lap or two around the floor, shoot some baskets, and then go to their bench at court side. After that, the home team would come out and do the same, and then the game would begin. Usually the Thorpes lined up for their entry more or less according to height, which meant that senior Doni De Cory, one of the tallest, went first. As the team waited in the hallway leading from the locker room, the heckling got louder. The Lead fans were yelling epithets like “squaw” and “gut-eater.” Some were waving food stamps, a reference to the reservation’s receiving federal aid. Others yelled, “Where’s the cheese?”–the joke being that if Indians were lining up, it must be to get commodity cheese. The Lead high school band had joined in with fake-Indian drumming. Doni De Cory looked out the door and told her teammates, “I can’t handle this.” SuAnne quickly offered to go first in her place. She was so eager that Doni became suspicious. “Don’t embarrass us,” Doni told her. SuAnne said, “I won’t. I won’t embarrass you.” Doni gave her the ball, and SuAnne stood first in line. 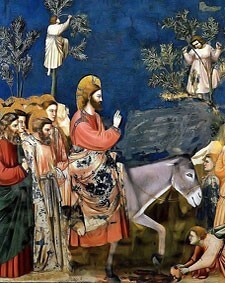 Both SuAnne’s story and the story of Jesus riding into Jerusalem on a donkey are stories about subversive actions. They both subverted the expectations of the people. SuAnne subverted the expectations of the basketball fans who wanted to continue Native American stereotypes. Jesus subverted the hopes and expectations of the Israelites who wanted a king. The Israelites were under Roman occupation while the Jewish religious leaders were in collaboration with the Roman occupying force with rebellious Jewish skirmishes around the countryside. The people wanted to be free of the Roman empire via a king (or a warrior messiah) to emancipate them from the Romans. And this where Jesus enters the scene. Jesus often used the language of paradox and reversal to shatter the conventional wisdom and expectations. Jesus subverts the powerful symbol of a king riding amongst his adoring subjects to reverse the common understanding of power, status and rule. As he did with the cleansing of the Temple, Jesus takes action–a rather provocative action much like an Old Testament prophet would take–to demonstrate the character of God. 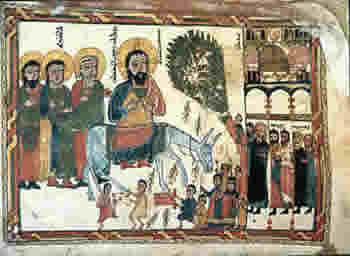 Additionally, Jesus uses his donkey ride as an additional lesson in the reign of God. Jesus frequently spoke of the kingdom of God in the language of impossible or unexpected combinations. The kingdom, which is something great, is compared to something very tiny: it is like “a grain of mustard seed.” Not only is the see tiny but mustard is a weed– thus, the reign of God is like a weed. 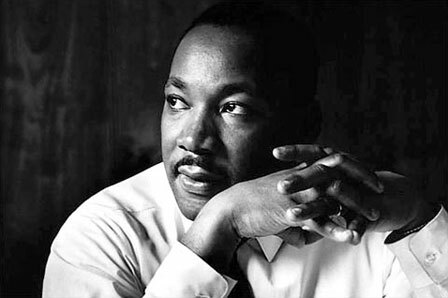 Also, the kingdom is for children, who were nobodies—therefore, the the kingdom is for nobodies. Additionally, Jesus models this upside kingdom by dining (or, fellowshiping) with outcasts—so, the kingdom is like a banquet of outcasts, of nobodies. In the realm of God, those who are broken will be blessed. Perhaps Jesus’ parody of a celebrated king is a gentle poke at us as well as the religious authorities of his day: God is not interested in status, whether it’s religious, or political, or material. Rather, God desires that we follow—that we become like—the One who was born in a barn and is preparing to die a criminal’s death. The spectators of Lead, South Dakota wanted “Injuns” and SuAnne gave them an “Injun”–but did it with a power and grace that subverted the entire scene. The Israelites wanted a king and Jesus gave them a king–but did it with a donkey and days before his death by subverting all expectations and understandings at what Jesus’ kingdom was about–where the marginalized, the wounded, discouraged, powerless, and sick belong. 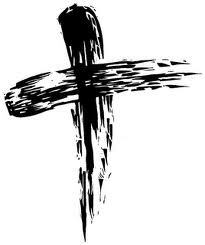 §From this morning’s sermon: “Lent is not a 40-day self-improvement plan. It’s about becoming more like Christ.” Good reminder. §From last Sunday’s sermon: “We cannot escape the presence of God. However, we can easily ‘forget’ that we are kept alive from moment to moment in that Divine Presence. Therefore it is important to practice getting in contact with the Divine Presence. What works best for you? *Imagine God looking in wonder at you, as you might look with delight and admiration at your own child. *Imagine yourself immersed in the Divine Presence with the Divine Light surrounding you and flowing through every cell of your body. *Picture yourself as a cell in some organ or body part of the cosmic Body of Christ. *Picture Jesus standing beside you, eager to be with you, lovingly energizing and supporting your prayer. *Picture yourself surrounded by the clear bright light of the Holy Spirit, perhaps in the shape of a huge, protective, grace-filled bubble of light. *Repeat a simple prayer silently with each exhaled breath. –adapted by Pastor Anita Smith Buckwalter from of The New Spiritual Exercises: In the Spirit of Pierre Teilhard de Chardin by Louis Savary, (Paulist, 2010).